IBM announced Sunday that it has struck a deal to acquire the cloud-software company Red Hat for $US34 billion. IBM said it will pay $US190 a share in cash – a more than 60% premium above Red Hat’s closing price on Friday. The “rich valuation” will discourage anyone else to make a higher bid, Jefferies analyst John DiFucci said. IBM shares were sliding early Monday, down about 4%, after the tech giant announced on Sunday that it had agreed to acquire the cloud-software company Red Hat for $US34 billion. IBM said it will pay $US190 a share in cash – a more than 60% premium to Friday’s closing price – for all of Red Hat’s outstanding shares. Red Hat shares traded as high as $US177.63 apiece in June, but disappointing earnings combined with a volatile market had caused them to drop sharply in recent months. According to IBM, the acquisition was approved by both boards of directors and is subject to Red Hat shareholder approval. Jefferies analyst John DiFucci commented that IBM’s offer will discourage anyone else to bid higher for this asset. 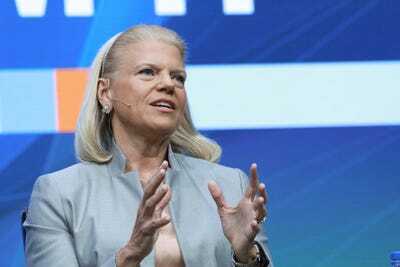 But DiFucci questioned whether the Red Hat will be able to remain neutral under IBM’s control.